Not only did they leave us with their extraordinary musical legacy, these great composers left us with a wealth of profound, moving, and at times confusing, final statements. 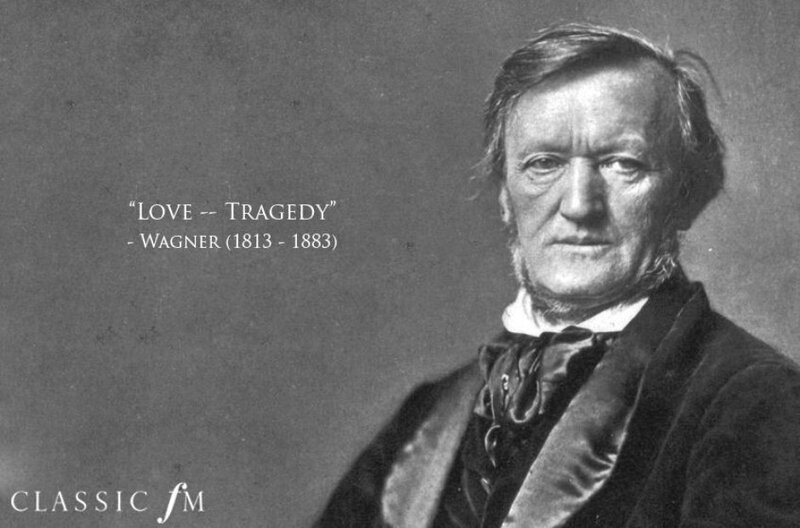 "Love -- Tragedy". The last words Wagner ever wrote on a score. Although it's difficult to verify Mozart's last words, he allegedly passed away after saying: "The taste of death is upon my lips...I feel something, that is not of this earth"
"Pity, pity, too late!" after the case of wine he ordered didn't arrive on time. Despite the fact his wife was sitting by his side, legend has it that Mahler breathed his last after shouting the name of fellow composer Mozart. "Here, here is my end." Earlier in his delirious state, he exclaimed: "This is not Beethoven lying here!" "Now is my final agony. No more." Chopin's final words, as he listened to Mozart's Requiem. "But I have so little time." Berg's final words to his wife after she told him to take it easy. Rameau, to his confessor: "What the devil do you mean to sing to me, priest? You are out of tune." When asked how he was feeling before he died, Mendelssohn explained: "Weary, very weary." Clutching Mozart's Clarinet Concerto, Richard Strauss allegedly said he "would have given anything" to have written it before shuffling off this mortal coil. "I am in a cold sweat. Is it the sweat of death? How are you going to tell my father?" The great French composer bids farewell to pianist Mily Alexeyevich Balakirev before he dies. "Well, if it must be so." Although his final words aren't documented, the great Russian composer, after discovering he had terminal cancer, said: "My dear hands. Farewell my poor hands." Upon being told to get some sleep, Strauss uttered his final words, "I will, whatever happens," and passed away. An eerie final uttering from the great 12-tone composer, who predicted his own death. Haydn's last words are cause for some controversy, with varying reports as to his parting remarks. Among his last words was his attempt to calm and reassure his servants when cannon shot fell in the neighbourhood. After taking a sip of wine, Brahms exclaimed his last: "Ah that tastes nice, thank you." Before he died of polycythemia, Bartok left many of his works unfinished, lamenting: "The sad thing is that I leave with so much more to say." Irish composer John Field, when asked whether he was a Protestant or a Catholic, replied with: "I am a pianist," before breathing his last.